That Long, Rocky Road: Why Is Dystopian Fiction Evergreen? Read my hit – and controversial – piece on the future of Dystopian fiction for Publishing Perspectives in full below or the original here. You can read an earlier piece of mine for Wired.co.uk on the impact of dystopian fiction on innovation here. Outside the bookshop stood a chalkboard on which a staffer had written words that has ended up retweeted almost 700 times at this writing. Clearly, it captures something of the mood in the UK and many other countries, here in the era of Brexit and Donald Trump. In the Young Adult (YA) section of the store, the shelves are groaning with dystopian novels, the worlds they depict often far worse than reality. Yet during the Cold War when the world lived within three or four minutes of total annihilation, dystopian stories such as John Wyndham’s The Day Of The Triffids (Penguin, 1951) or John Christopher’s The Tripods (Simon & Schuster, series beginning in 1967) didn’t seem to dominate the retail scene in the same way. Publishing Perspectives spoke to editors and writers on both sides of the Atlantic to ask why dystopian fiction is so popular and whether relief is coming. John Joseph Adams, who spoke with Publishing Perspectives this spring, is the editor of John Joseph Adams Books, a science fiction/fantasy imprint from Houghton Mifflin Harcourt. He’s also the series editor of Best American Science Fiction and Fantasy, as well as many other anthologies. 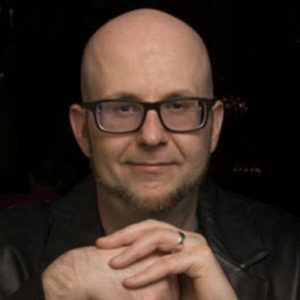 He’s the editor and publisher of the magazines Nightmare and the Hugo Award-winning Lightspeed, and a producer for Wired’s “The Geek’s Guide to the Galaxy” podcast. Publishing Perspectives: What is dystopian fiction? John Joseph Adams: It is fiction that examines society through a lens. It shows us what society would be like if the rights of people were violated. In dystopian fiction, the implication is that life is terrible for most people. Some people benefit from it. In that way every society in the real world is dystopian. Everyone is disadvantaged by the 1 percent. This is different from apocalyptic fiction, where the implication is the destruction of society – although an often unexplained apocalypse can be an excuse for the creation of a dystopian society among the survivors. PP: Why is it so popular? JJA: Writers like dystopian fiction because it’s very message-oriented. There’s an issue that concerns you, like gay rights. You write a story about it in a dystopian context and make it more understandable. There is the hope that someone who doesn’t agree with gay rights will read it and understand why real people support it. Young Adult dystopian fiction is particularly driven by publishing trends. The Hunger Games was a big hit and then it just got huge. It inspired writers to write similar stories, some craftily and commercially going after it because it is the hot thing–that’s why you got a glut of dystopian fiction in Young Adults. PP: OK. I get why writers want to write it. Why do readers want to read it? JJA: Dystopian fiction–and in particular Young Adult dystopian fiction–has been the trend for so long because it resonates deeply with young people. When you’re young, you see society as dystopian; everything is against you; things don’t seem fair; you get bullied… This may make teens seem superficial, but it’s not that. It’s just that they have less life experience. PP: What’s going to happen next to dystopian fiction? Will something more cheerful replace it? JJA: I expect there will be a lot more dystopian fiction written because great turmoil leads to more fiction. There are so many stories that can stem from what Trump says about building a wall or banning Muslim immigrants, for example. Readers definitely seem to be hungry for it. Writer trends don’t always map one-to-one to reader trends, but almost always when there’s a strong, clear trend happening among writers that editors and other curators detect, it’s usually a pretty good indicator that there’s something in the zeitgeist and thus readers will respond to it, too. The same fears that drive the writers to write such stories drive readers to want to read about such things. People may eventually get too beaten down by the combination of terrible things happening in the real world and terrible things happening to characters in fiction, and shift drastically to something like escapist fiction, or perhaps an even more direct response by shifting to utopian narratives instead. One of the challenges of telling utopian stories is that in a true utopia it can be very difficult to present engaging conflict, but perhaps someone will figure out a way to make striving for a utopia a viable trend and we’ll get some good solid optimistic science fiction in the future. 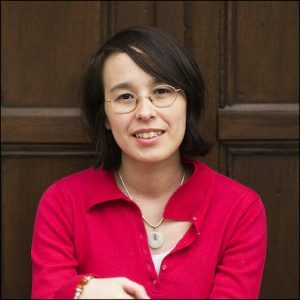 Aliette de Bodard is a French-American speculative fiction writer: her short stories have garnered her two Nebula Awards, a Locus Award and a double coup with the British Science Fiction Association Awards. She’s the author of The House of Shattered Wings, a novel set in a turn-of-the-century Paris devastated by a magical war. She’s of French-Vietnamese descent, was born in the USA, and grew up in Paris, where she now lives. Aliette de Bodard: For me dystopian fiction is about when the world falls apart. There can be mild dystopian fictions which are set in a world that goes against your own personal values in some way. These can be dystopian to some people but not others. Many of my stories are about family pressure on people to conform, and libertarian Americans keep telling me that they find these stories dystopian. Then there are dystopian fictions like the work of J. G.Ballard, or [Mary Doria Russell’s] Children of God, where the world is going to hell in a handcart and no one can do anything about it. PP: Does “What is dystopian?” vary between the communities you’re a part of? AB: Yes. I have done a lot of code switching between cultures, so I can see that each has a different view of what is dystopian. My Vietnamese relatives are appalled that in the West, old people are sent into a retirement home. However, in Korea they will split grandparents up and send them to different families. PP: Why do you think dystopian fiction is so popular? AB: In France, there is a real appetite for YA dystopian fiction, as the world isn’t looking great for young people. Their prospects aren’t going to be as good as their parents’. In the short term, their jobs are precarious or there are no jobs at all. In the longer term there is global warming or viruses, over which they have little or no control. Books like Twilight (Little, Brown, 2005) are more optimistic, but set against reality are nothing more than escapism. Some of these fictions are very bleak, others offer hope amidst the bleakness that at least you can try to fight to make a difference. Dystopian fiction works better when you don’t realize the parallels–it’s more primal, gut-wrenching, it bypasses the brain and goes straight to the heart. PP: What is going to happen next to dystopian fiction? Will something more cheerful replace it? AB: Well, there is a lot of science fiction coming out of China at the moment; that’s equivalent to our Golden Age of Science Fiction. It is rooted in science and the certainty about what the future will look. Folding Beijing [at Uncanny Magazine, by Hao Jingfang, translated by Ken Liu] may have the haves and have-nots like a dystopian story, but the message is clearly that things are getting better. In the West, there just isn’t that same sense of optimism. There’s the feeling that every generation now has to lower its expectations. The best outcome they can hope for is for things to remain the same. In the West, the young’s fears aren’t of nuclear war–that is the fear of the previous generation. It’s the fear of pandemics or global warming, which can seem vague, but are real to the young. 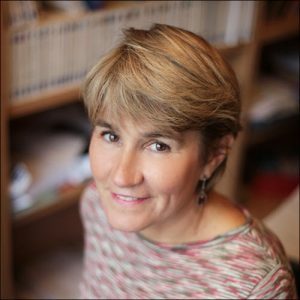 Natacha Derevitsky is managing director of Pocket Jeunesse, the imprint for 4- to 20-year-olds of French publisher Univers Poche. 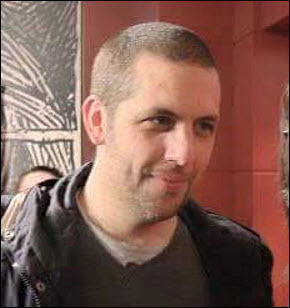 Xavier d’Almeida, the director of its Young Adult collection. Xavier d’Almeida: It is anti-utopic. It is contrary to utopia. It is the world turned around. For YA books, there has to be a very strong hero and a way for the hero to make dystopia a little bit better. Natacha Derevitsky: Yes, for YA, dystopian stories have to have an optimistic ending. It is also important that they have a realistic theme – which can be related to something that is happening in our society. XA: In The Hunger Games, it’s the strong power of the state and reality TV. It’s how far can reality TV go? In books like Maze Runner (Penguin Random House, 2010), the young characters are at the center of the rebellion or part of the way the state controls the masses. PP: Why is dystopian fiction so popular? ND: Young people are concerned about the future; everything is changing very fast. XA: If I can be cynical, in Europe they’re interested in The Hunger Games or Divergent (HarperCollins, 2011) because they’re American. When we try to publish a French dystopian book, it doesn’t do well. The American books have the advantage of all the promotion on the Web and have been made into films to make them sell well. Even authors who have more English-sounding names sell more. ND: Young people feel anxious about what’s happening in the world and they can relate to strong feelings written in a strong way. XA: What has been successful has been when authors take subjects from books that have already been written, like 1984 (originally Nineteen Eighty-Four, Secker & Warburg, 1949), and make it simple and add romance. They make it more familiar for modern readers. XA: It is not really growing any more. We’ve been waiting for another type of book for the last two years. These could be more realistic, issue-based books, but we don’t know how popular these books could become. Unfortunately these are stories that travel less easily because of their realism–very French or very American. Movies will be the key. Then there are those people from the Web–from YouTube–who suddenly have a million followers and they write something about makeup and it sells. This is another wave of Americanization. All publishing in France is particularly influenced by American culture, especially in children’s and YA. But it’s very difficult for us to sell into the US. We are trying. The sad fact is that working on a French book takes more effort than working on a translation–and it often doesn’t succeed.